While we’re busy with preparing our own marketplace for templates and modules, we thought of some useful online marketplaces for entrepreneurs and small businesses. There are tons of them and we may expand on niche marketplaces later. For now though let’s make a quick run of a trio options. Etsy is a handmade seller’s dream. Focusing on more alternative, vintage and artsy products, Etsy is even better than the aforementioned marketplace giants in a sense. Where its power lies is in socializing. As an Etsy seller you are not just an isolated entity. You can join a team and brainstorm ideas, attend niche-related events in your area, discuss concepts in forums or even join a streaming workshop! So Etsy appears to be a digital marketplace for people who value handmade work and heartfelt connections that breed innovation and insight. Of course you may use it as a sales-orientated place only, but it would be a pity to leave out the terrific social factor it offers. There’s a reason Etsy has been on the top of its niche with little competition throughout the years. Best used in collaboration with social media like Instagram and Pinterest, this marketplace has the potential to skyrocket your handmade small business. From the beautiful handmade heaven of Etsy we come to the simplistic, text-based Craigslist – a marketplace that looks like it belongs back in the 00s. Don’t let its design fool you. 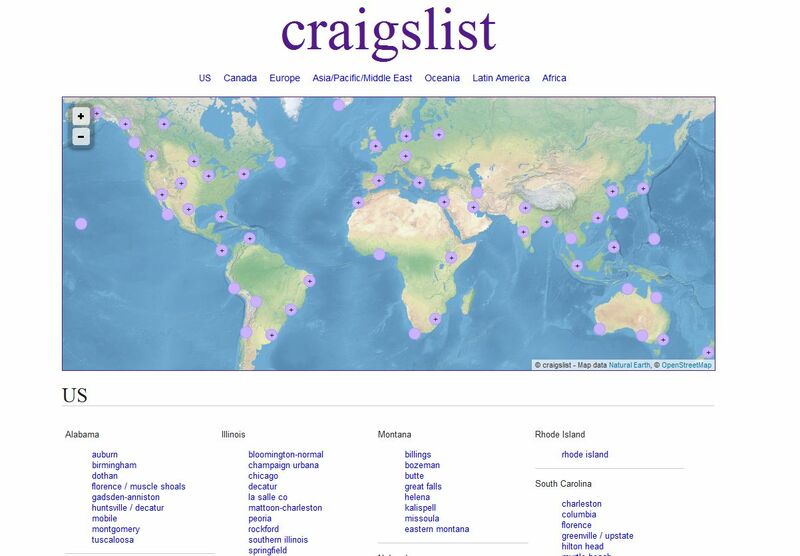 Craigslist, when used correctly, can generate an outstanding revenue for you, especially if we’re talking about the USA, Canada or Great Britain where it appears to be most widespread as usage. Keep in mind that its simplicity also means that it can be used mainly as a quick selling point. Marketing and socialization are left out of its platform and you might want to look somewhere else if you are looking for long-term campaigns and concepts. Same applies for more expensive, elite products. Craigslist users are looking for bargains, mostly cheap to middle price, so you’ll excel at these niches. While there’s a “dangerous” connotation to making business with Craigslist, it can be a very profitable place to sell low-end items. Just be careful when setting the trade up! Bonanza has grown a lot and deservedly so. 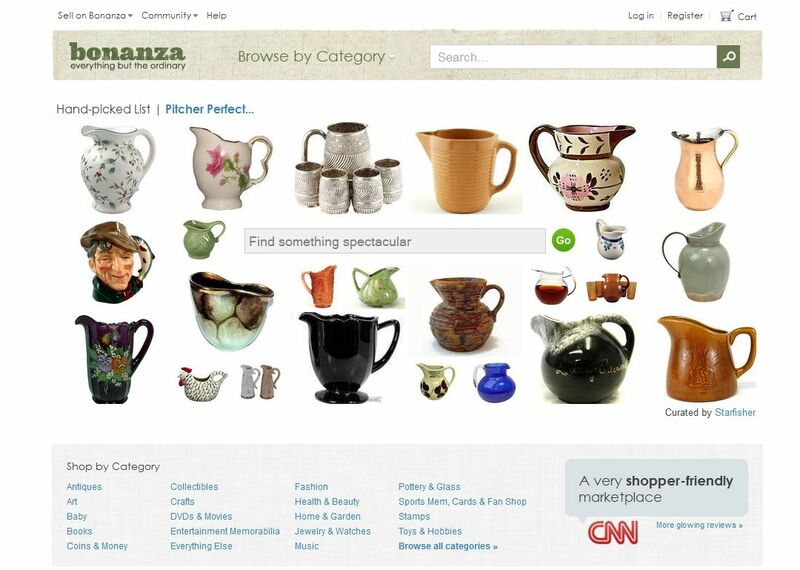 As with Etsy, there’s a heavy social side to the marketplace Bonanza is. A good example is the option to chat with your buyers in real-time using the platform. There are also handpicked collections which bring niche products together in compelling sell-lists and lots of other resources. The keyword to Bonanza is “unique”. This marketplace’s motto is “Everything but the ordinary” and you’d better adhere to it. Bonanza’s focus are unique, stylish products that are either one-of-a-kind or can’t be easily found somewhere else. Talent is cherished – as is quality interaction with customers. Got a bizarre, wacky product line that is also functional and satisfies a certain need? You’ve found your place to be, then. Be sure to check the terms of pricing here as they might be confusing to some. Felt the urge to spread your ideas or products to some digital marketplaces? Well, setting up an online shop is surely the first step you need to take. We'll be helping you along the way.